Stepping onto a stage with four other people to discuss important, and sometimes controversial, issues in front of a crowd of spectators can be nerve wracking. But if successful, it can be rewarding. At least that’s what Mississippi Farm Bureau Federation’s 2018 YF&R Discussion Meet winner Heather Ferrell believes. As a first time competitor of the YF&R Discussion Meet, Heather never expected to win. She contributes hard work and hours of preparation to her success. Heather and her husband, Sean, run a full French Charolais cow/calf operation in Scott County. 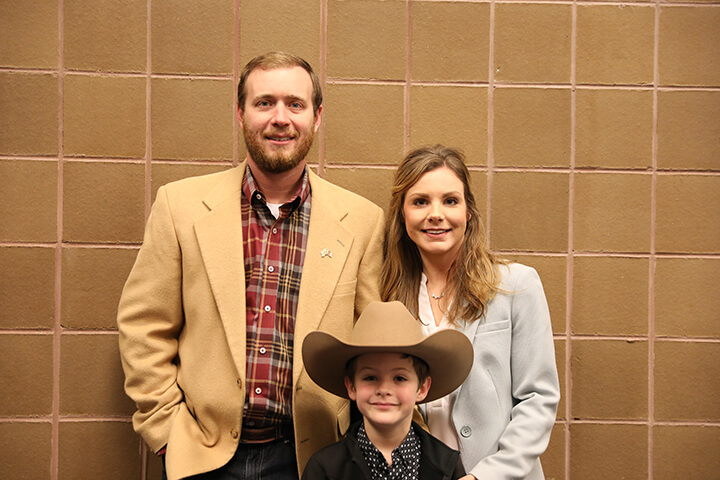 “We’re trying to raise performance bred bulls that people can put on cross bred cows that are going to bring them more weight at weaning time,” Sean said. Competing in the discussion meet and winning on her first try was an experience of a lifetime, Heather said.